After Makoto Naegi and his fellow survivors escaped Hope's Peak Academy to the world beyond, they soon join the Future Foundation, an organization dedicated to combating despair. Just when all seems to be looking up, Naegi is arrested and tried for betrayal due to defending a malicious group of Remnants of Despair. Standing before all of the Future Foundation executives, he finds himself, along with Kyouko Kirigiri and Aoi Asahina, facing an unknown fate. familiar face: Monokuma. Much to Naegi's horror, the mechanical bear immediately announces the beginning of a new killing game, as moments later, the first victim appears as a signal for despair to resume its brutal conquest. 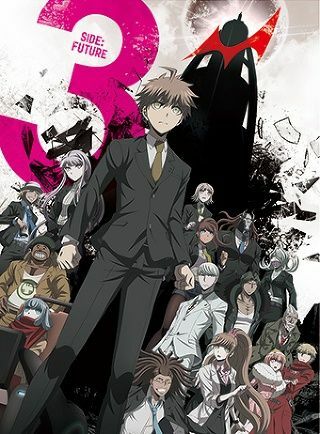 In the conclusion to Danganronpa's gripping tale of hope and despair, Naegi, the Super High School-Level Lucky Student, must once again unravel the mystery as his colleagues and friends begin falling around him. However, there are no more class trials; among the 16 desperate participants, there is only one killer—and their death means the end of this infernal game.